Owner/Director of the privately funded observatory established in 1999. 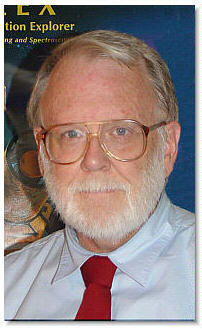 Assistant to editor, Richard Binzel. Responsible for reviewing and editing proposed articles for style, accuracy, and formatting so that paper meets MPB guidelines. Lead author of the regular "Lightcurve Opportunities" article. This is a list of targets of interest for lightcurve work for the purpose of period/amplitude determinations or spin axis/shape modeling. The book covered the basics of photometry and reductions as well as lightcurve period analysis. Favorable reviews appeared in Sky and Telescope, Astronomy, the Journal of the British Astronomical Association, and the Minor Planet Bulletin. Published by Springer, February 2006. Writer of MPO Canopus, an astrometry and photometry program widely used by asteroid and variable star observers for lightcurve measurement and period analysis, and MPO Connections, a camera/telescope control program that allows automated imaging. Completed approximately two years towards B.S. in Physics, including core requirements, Physics, Chemistry, and Math. Master of Astronomy degree. B.S. requirement waived based on published research. Graduated 2005 June with High Distinction. Member of the Board of Trustees and Program Committee. SAS promotes professional-amateur collaborations and the development of amateur research at professional levels. This page was last updated on 01/19/11 15:43 -0700.